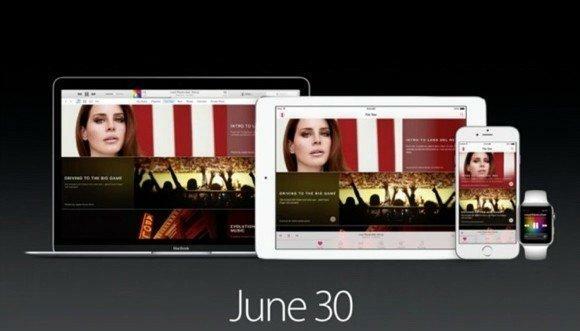 Apple will begin releasing iOS 8.4 on Tuesday, June 30th at 8:00 AM Pacific time [8:30 PM IST] which is quite earlier as compared to its usual 10:00 AM release time. Apple plans to release this update earlier than usual as per to provide users the experience of the launch of the Beats 1 streaming radio station which is led by Zane Lowe and will feature interviews of people like Dr. Dre, Drake etc and will begin streaming at 9:00 AM PST on Tuesday itself. With the new iOS 8.4 update, Apple music will be there on the platform and the users will allowed to experience premium music streaming absolutely free for the first three months. After that period ends, users will need to pay $9.99 per month for each individual user. Also when iOS 9 will be released this fall, it was revealed by Apple’s executive Eddy Cue on Twitter that the company is planning to increase the iTunes match up limit to 100,000 songs from 25,000 which is the current limit.